This entry was posted on November 5, 2014 by B4S. 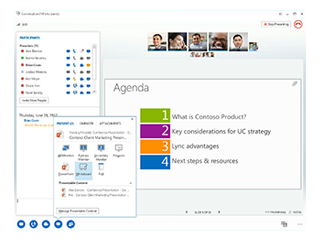 Microsoft Lync is a full communications solution based in the cloud, and not just any cloud but Microsoft's cloud. The solution is based upon the premise of : Stay in touch anywhere which means that a business is given the tools with which to communicate over all media at all times.  The system operates across a wide range of platforms and numerous devices. Lync has a built in ability to adapt its data transfer rates and protocols to match the optimum performance for the current network conditions - whether you are using GSM mobile network or a high powered business broadband line. Microsoft Lync has a unique GUI ( Graphic User Interface ) which delivers a consistency of experience irrespective of what device you are using. It has been developed for Windowc PC's, Apple iOS, Android and Windows Mobile. Further, there is a new, fully immersive app for Windows 8 and RT which takes full advantage of touch interface. Microsoft Lync is an enterprise focussed messaging and collaboration client which was released in 2011 and is fast becoming one of the most widely accepted platforms for corporate IP communications worldwide. It uses the SIP protocol. It is a specific type of the already well established Unified Communications and even refers to itself as the new UC - Universal Communications. When moving to Microsoft Lync you are entering a very complex ecosystem of communications, the sharing of information is streamlined for your users and most deployments lead to great increases in efficiency as well as saving for travel and associated costs. The main features are instant messaging, Voice Over IP and Video Conferencing - but when integrated with Microsoft Software Lync's power and functionality leaps and can be leveraged for business practices and logistics.